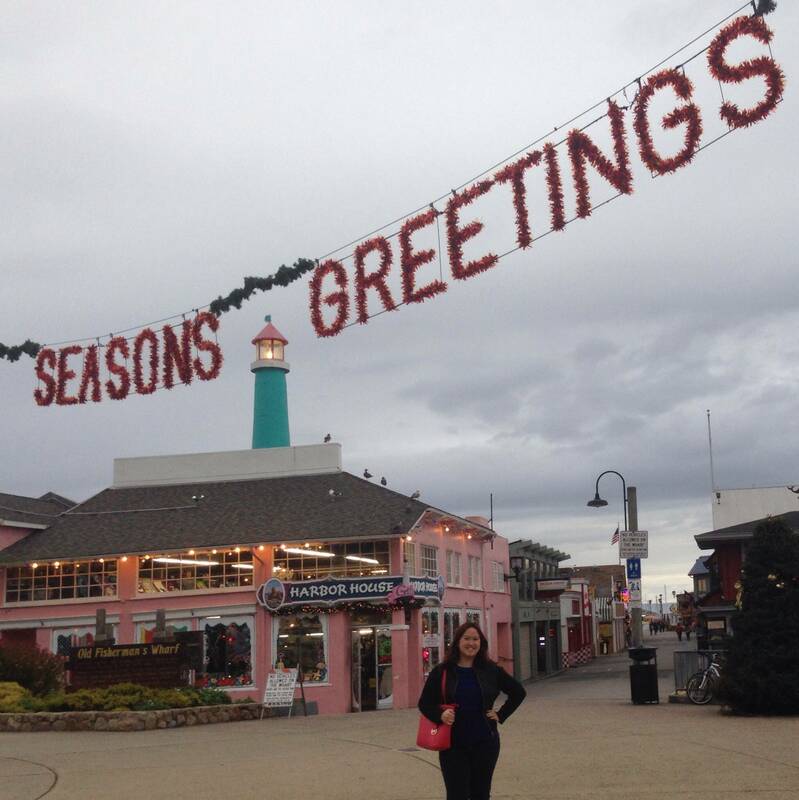 I spent the holidays in Monterey, California visiting with family and friends. It felt wonderful to be home for a couple weeks and enjoyed the home cooking, baking, trying new restaurants, watching movies, shopping, going to the aquarium/downtown/Fisherman’s Wharf, catching up with friends and getting into the Christmas spirit of joy, love and wonder. 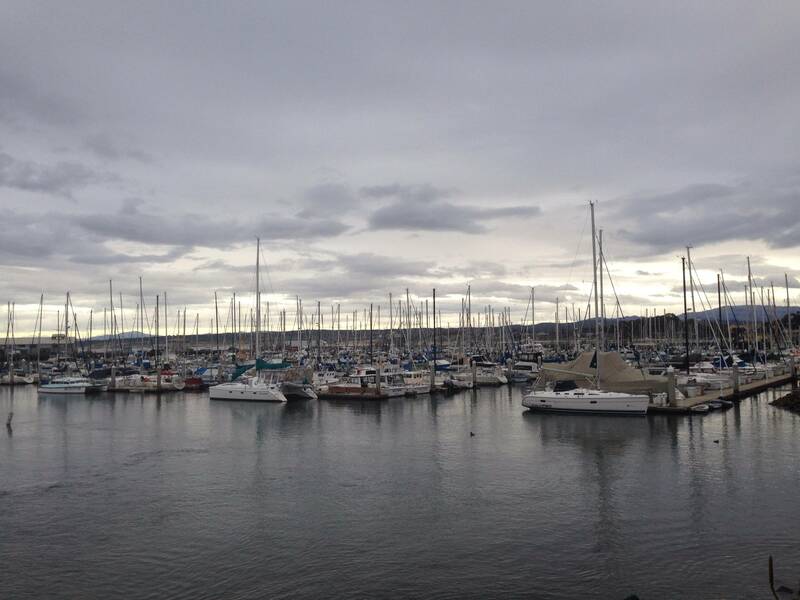 Here are from scenes from around the town of Monterey. I also enjoyed home cooking. 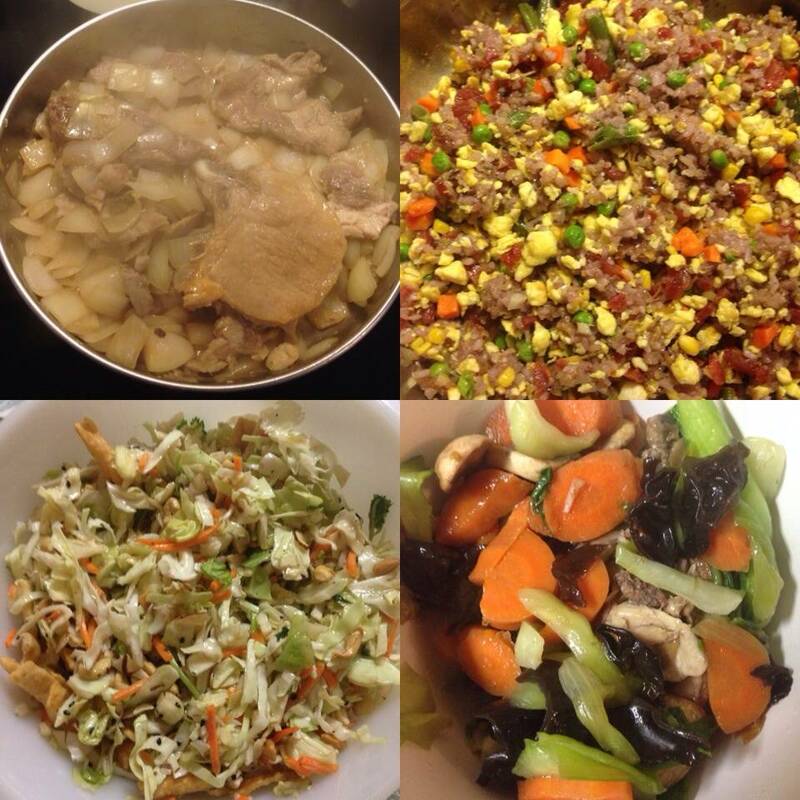 One of the first meals I had back home was pork chops with onion, fried rice (made with purple rice), salad and a medley of colorful vegetables: Carrots, mushroom, celery. Everything tasted fresh, flavorful and wonderful. I loved the homemade lamb chop dish that I helped make. The lamb was seasoned perfectly and tasted tender and delicious. 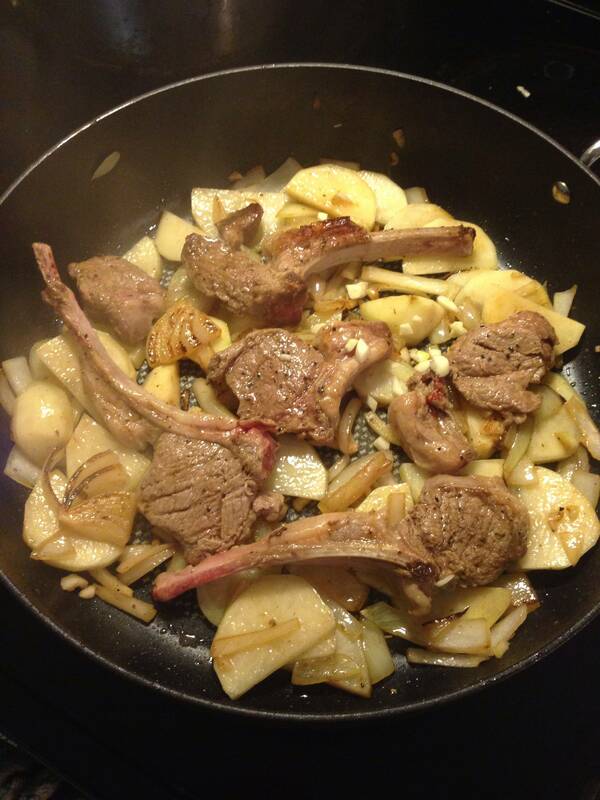 We also added onion and potato, which paired beautifully with the lamb. On Christmas day, some family friends came over and we made Chinese steamed dumplings. 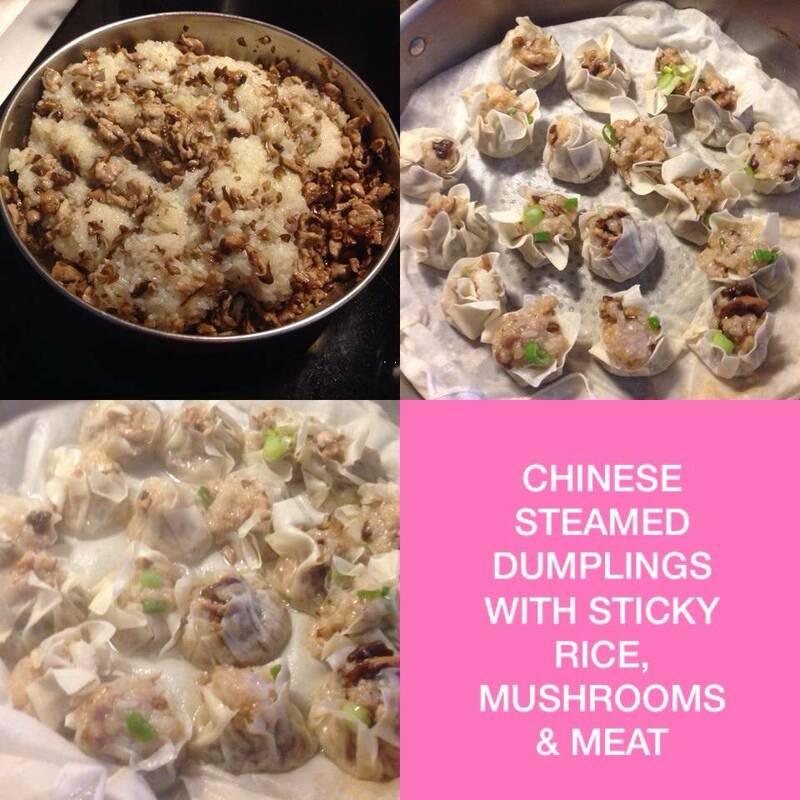 We created the filling of sticky rice, mushrooms, meat and green onion from scratch and wrapped it in the dumpling skins. After that, they were steamed and they came out a bit soft but still very tasty, especially with some spicy soy sauce. 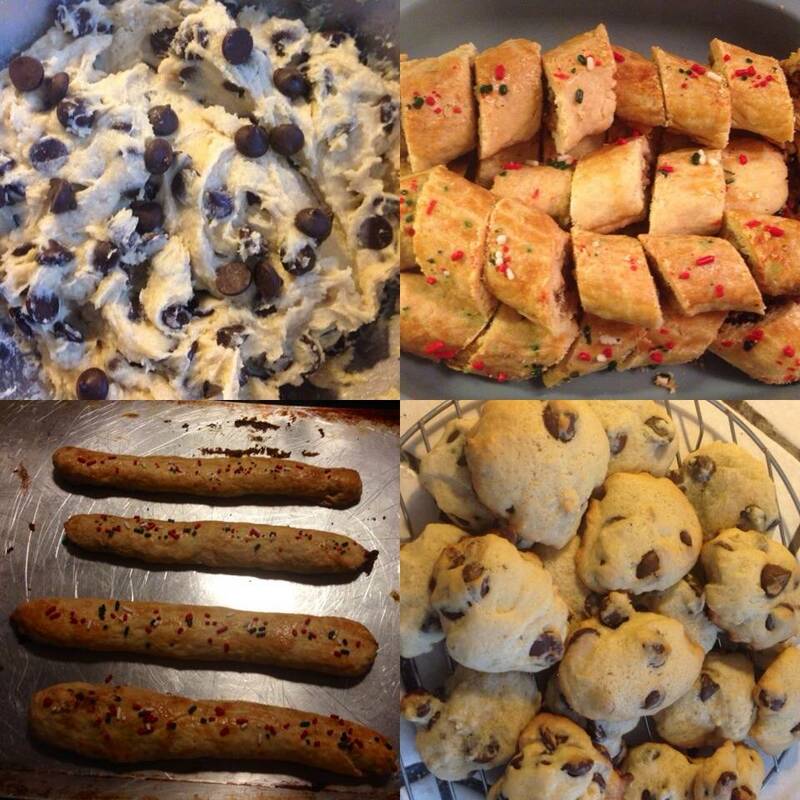 I made some baked goods as well… The classic chocolate chip cookies and also Christmas cookies with nuts and raisin filling, which we make every holiday season. 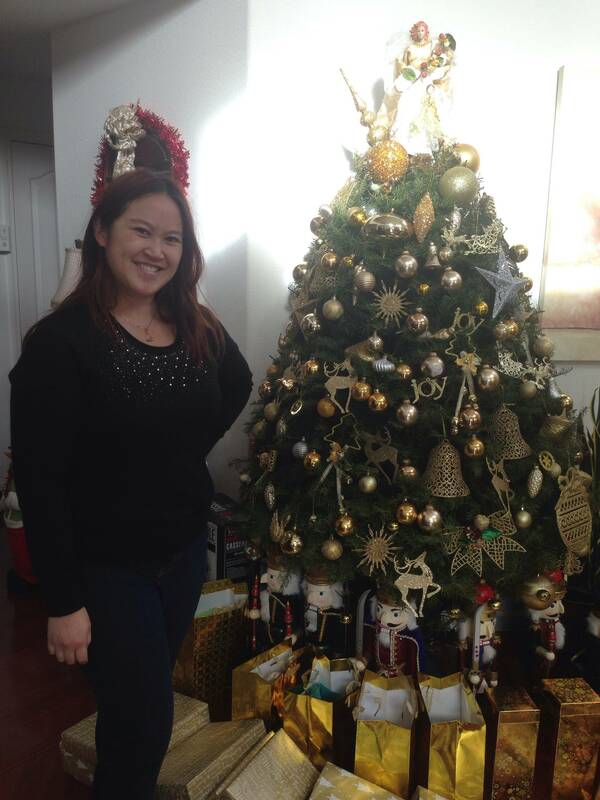 Since we didn’t have an actual Christmas tree, we visited family friends who did. 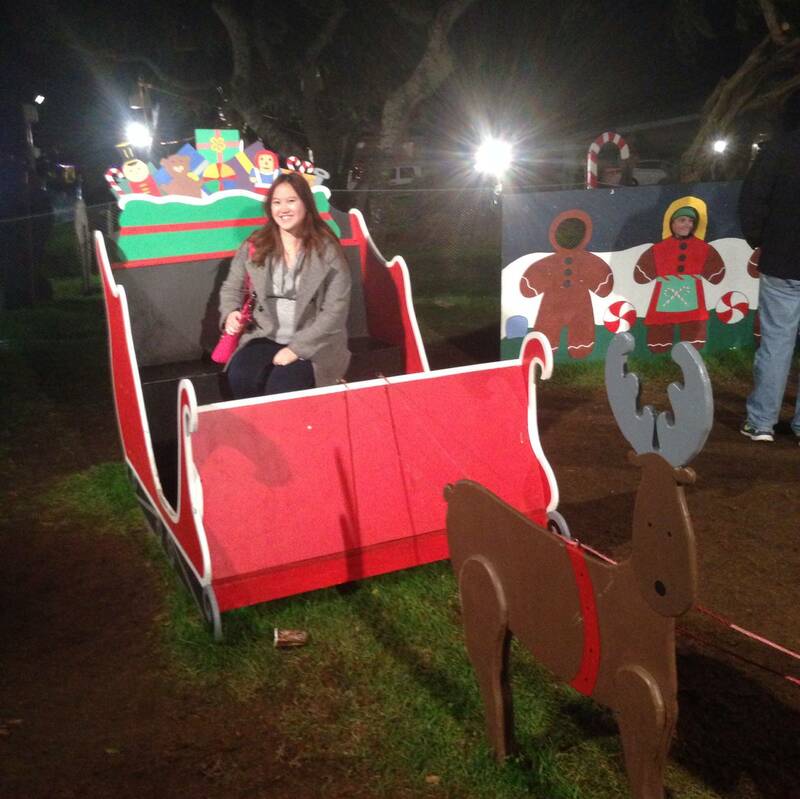 On Christmas Eve, I had a chance to go to Candy Cane Lane (yes, that is an actual street name) and each house has to decorate on the outside so there is are tons of beautiful lights, displays and a center area with sleigh, reindeer, life size gingerbread house and more. It’s like a magical Christmas Winter Wonderland! 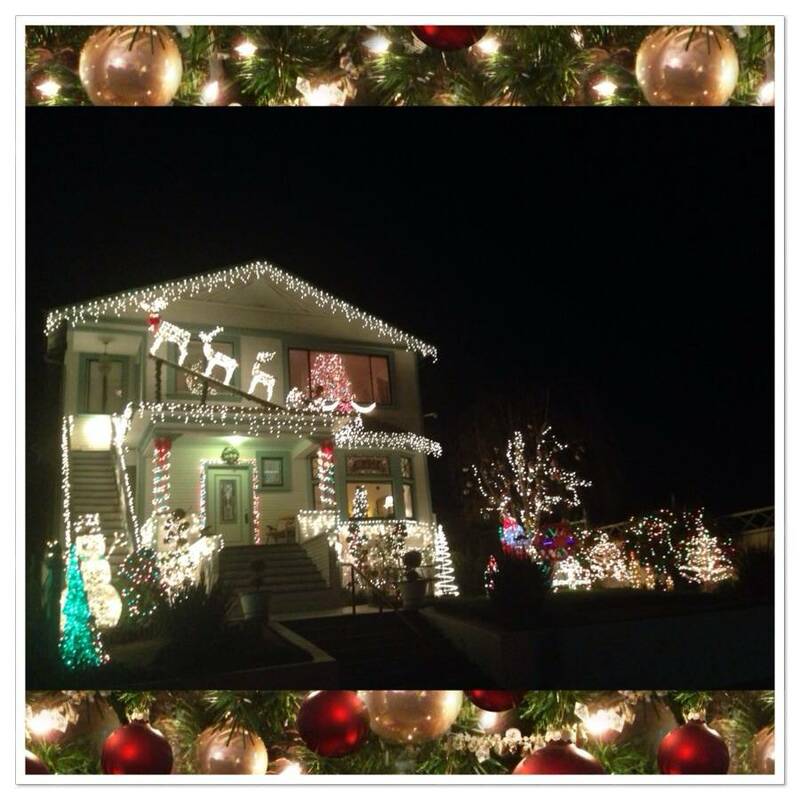 Below was one of my favorite decorated houses. I just loved the sparkling lights, the bits of blue and red in between the white and the reindeer going up to the chimney! I thought it was both sophisticated and adorable at the same time. 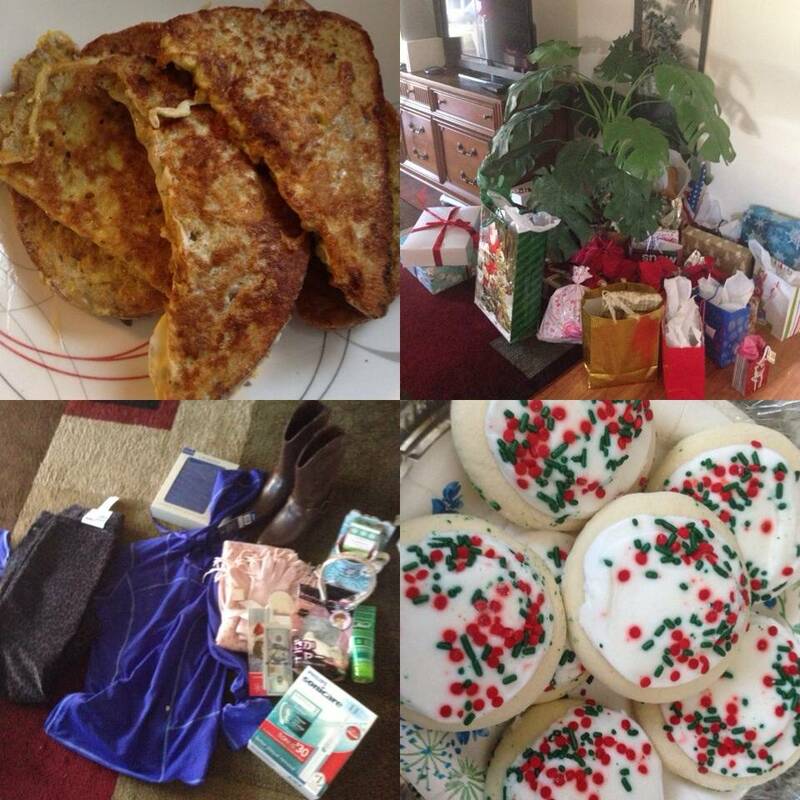 Christmas morning I made French toast then we opened presents. 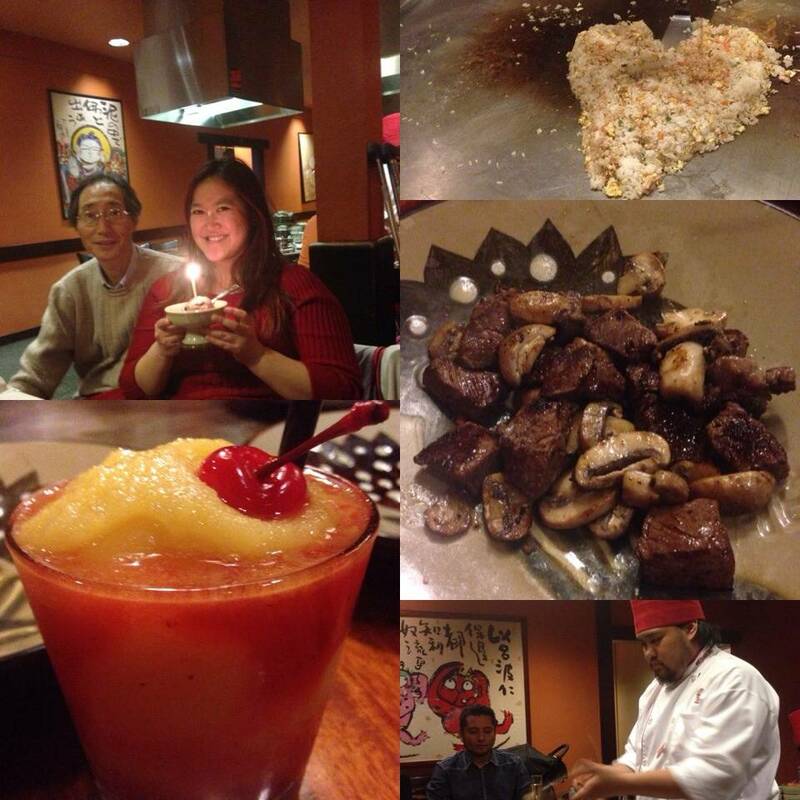 We had dinner at Benihana, where I had a $30 gift certificate for my birthday. We had a great time and great meal there, as usual. It is always fun to watch the chef prepare our meals with finesse and skill. I ordered a passion fruit smoothie with strawberry swirls which was sweet, refreshing and delightful. I would have liked a bit more strawberry flavor though. For my meal, I had Filet Mignon and shrimp, which came with a multitude of sides and appetizers including soup, salad, chicken fried rice, shrimp and vegetables: Mushroom, zucchini and onion. 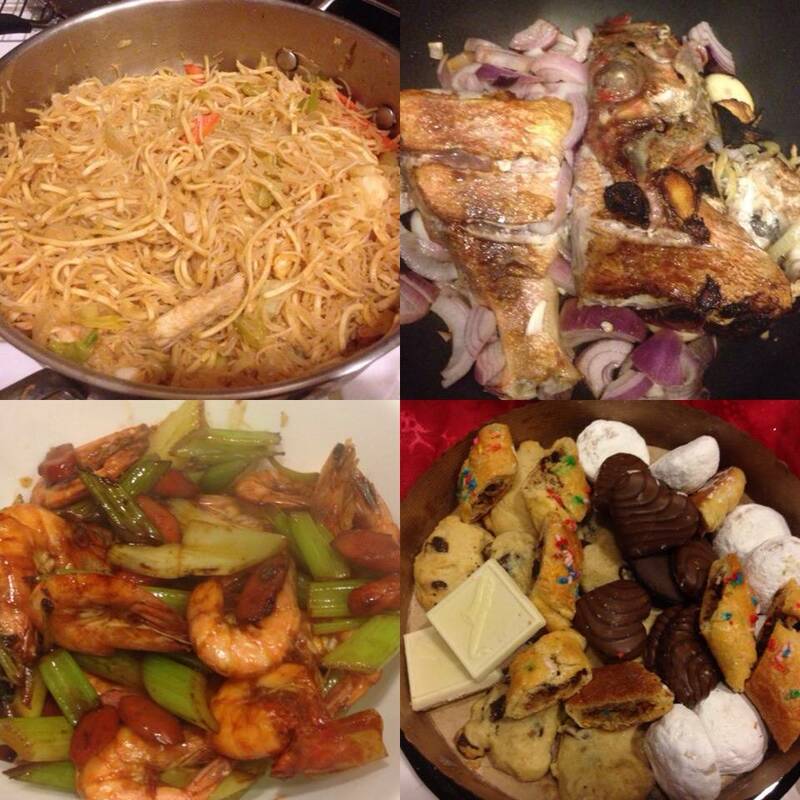 Everything was well made and delicious. I also had chocolate ice cream which came with a lit candle in it and one of the servers played the drums and sang Happy Birthday! Soon after Christmas (2 days), it was my birthday! A friend of mine took me to Carmel for exploring, shopping and lunch at Cypress Inn, a super cute place owned by Doris Day, where they allow dogs. I had the fish and chips, which came with garlic french fries and it tasted amazing. 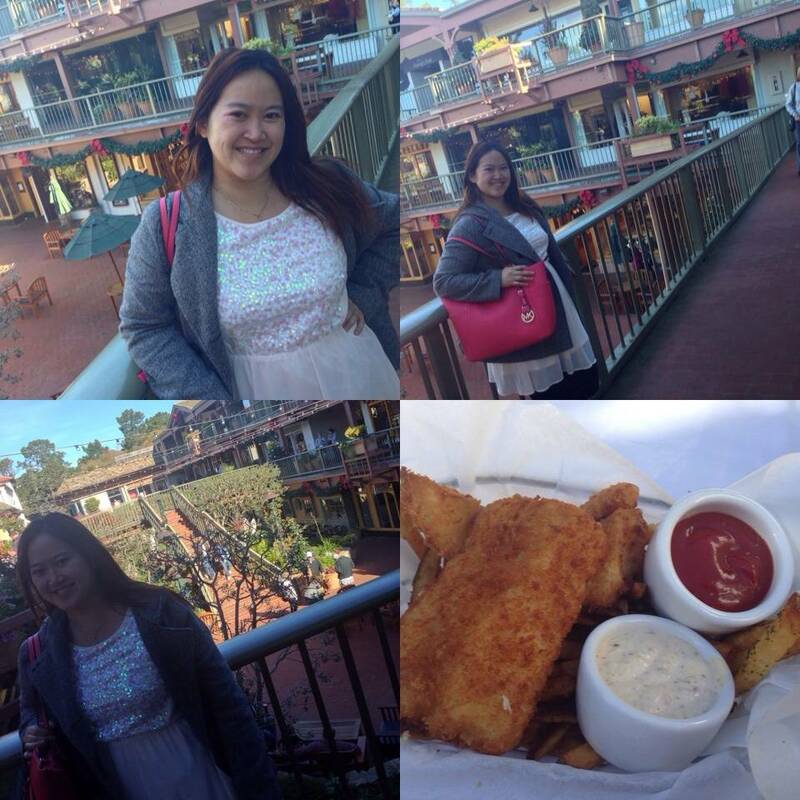 The fish was fried to perfection with great flavor and the french fries were crispy and well seasoned. 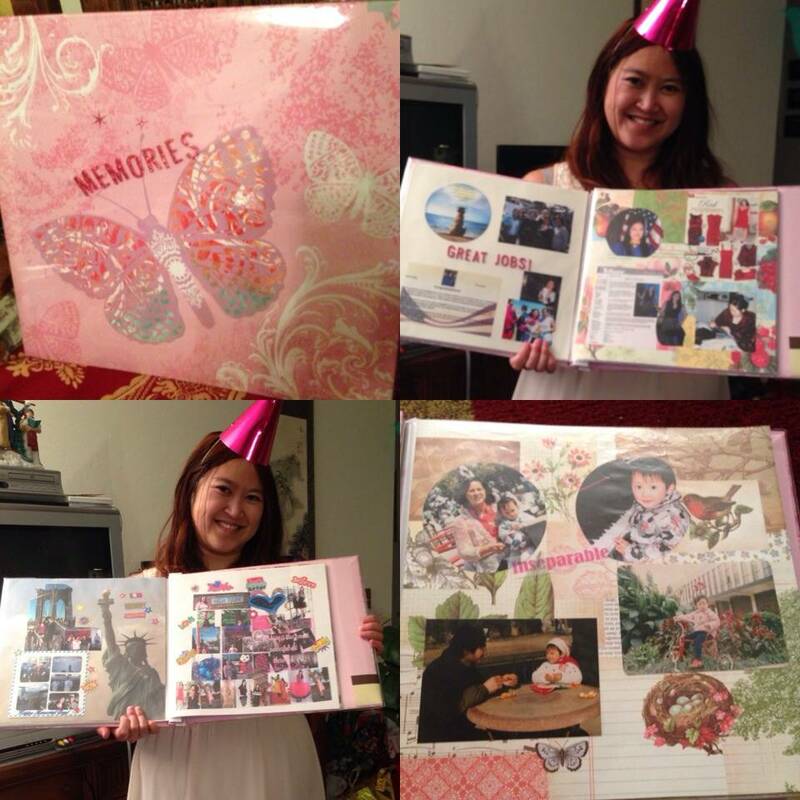 Afterwards, I came home to a lovely surprise party! 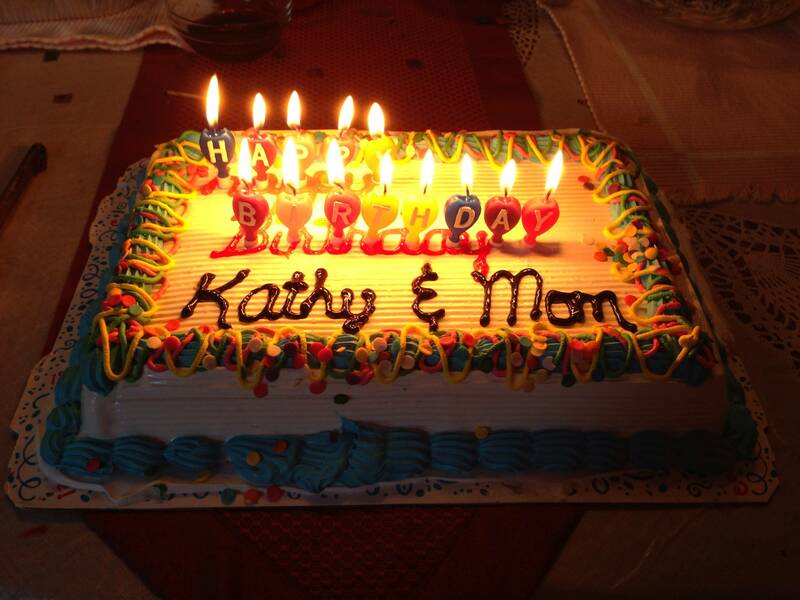 It was filled with amazing friends, great food, wonderful gifts and a delectable ice cream cake. 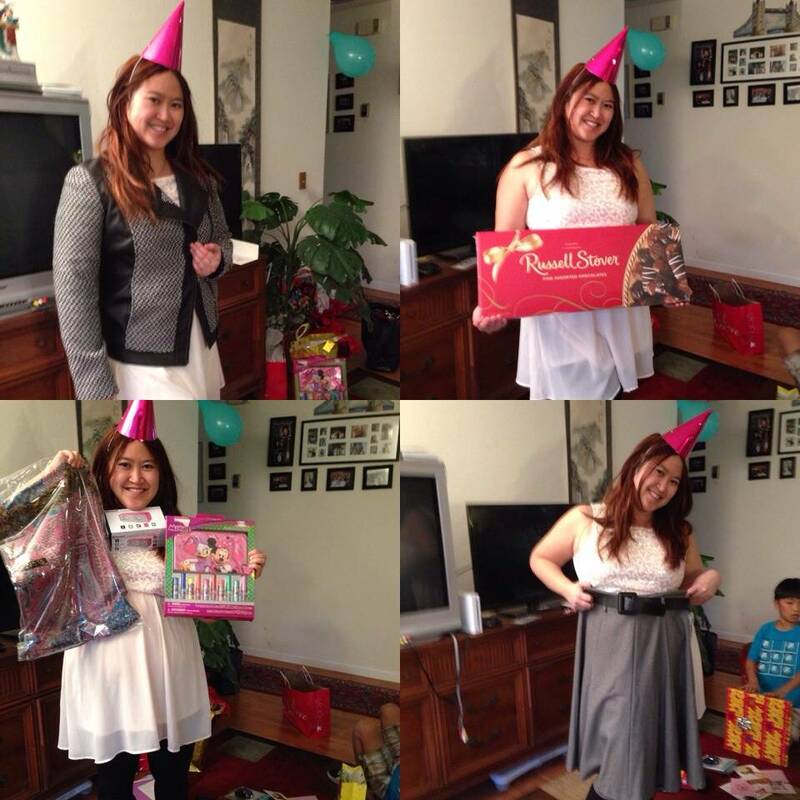 Below are some presents that I received: Clothes, money, scarves, accessories, chocolate and more. Some of my favorite gifts: A gorgeous gold heart necklace with diamonds and a scrapbook of Memories/my life that was made with love and care. 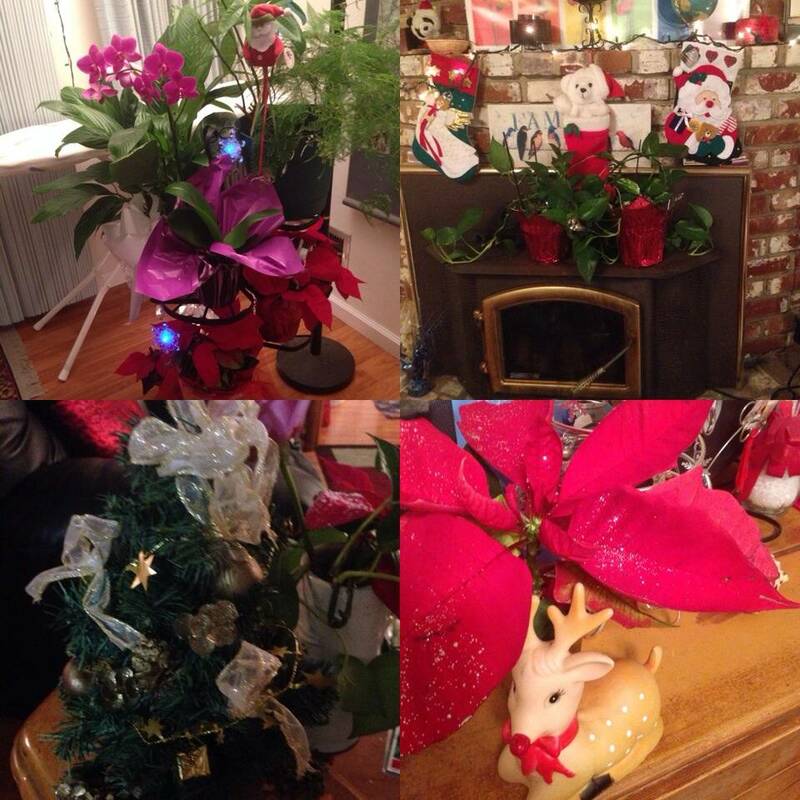 I had a wonderful holiday back home in California and hope that all your holidays were also beautiful and filled with love, family, friends, spectacular food and fun! I’ve always loved Christmas in New York City, with all the beautifully decorated trees, pretty colorful lights, holiday markets, window shop displays, 5th Avenue, and the feeling of joy & good cheer. Before going back to CA for the holidays, I spent the day with some wonderful friends and got to experience all that the NYC holiday scene has to offer. We met at the New York Public Library at Bryant Park, by the huge and magnificient stately Christmas tree, with pillars and candles on either side of it. After marveling at the beauty of the tree, we headed to the Bryant Park Holiday Market, which was lovely and quite charming. We all enjoyed having our hands washed with soap, salt scrub, warm water and then pampered with lotion that made our hands baby soft and smooth. The tree there was also nice, with blue lights and silver ornaments and a star on top. We continued on and checked out the window displays on the shops at 5th Avenue. 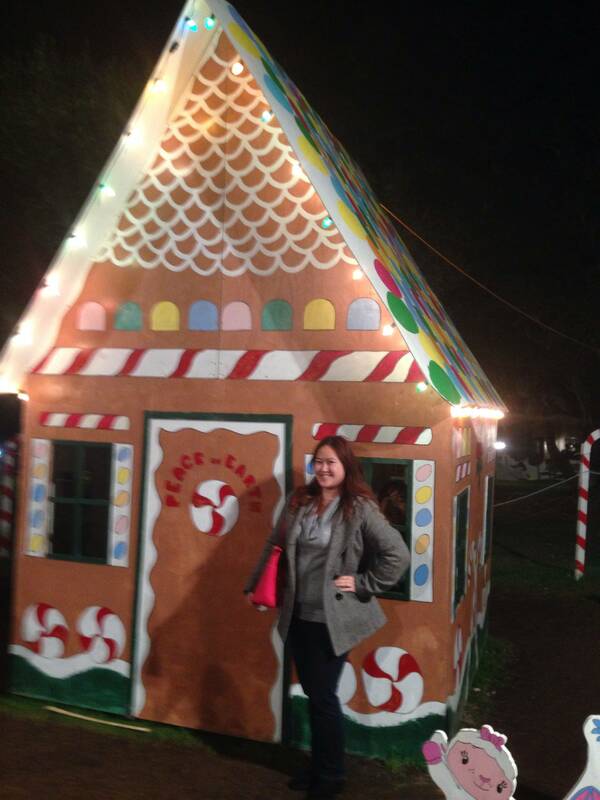 There was everything from gorgeous high fashion and elaborate designs, to the cutesy, snowy and fun displays. We also went into St. Patrick’s Cathedral with the display of Jesus’ impending birth, illuminated with red candles shining brightly in front. We finished up at the Plaza Hotel, where I saw my favorite tree yet. 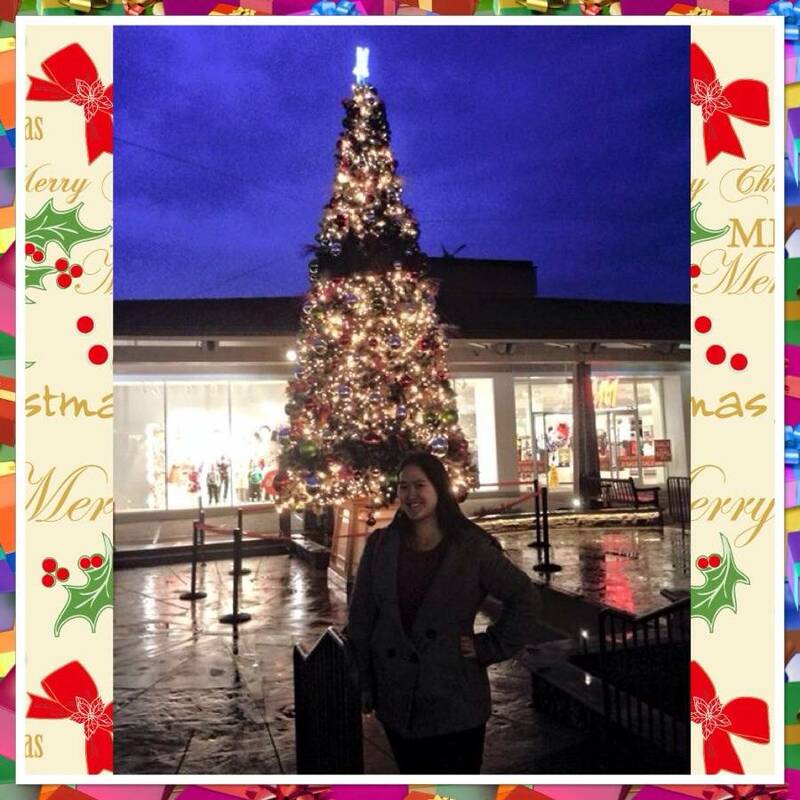 It had white lights, gold balls and the best part- cascading glittering silver snowflakes surrounding the tree.